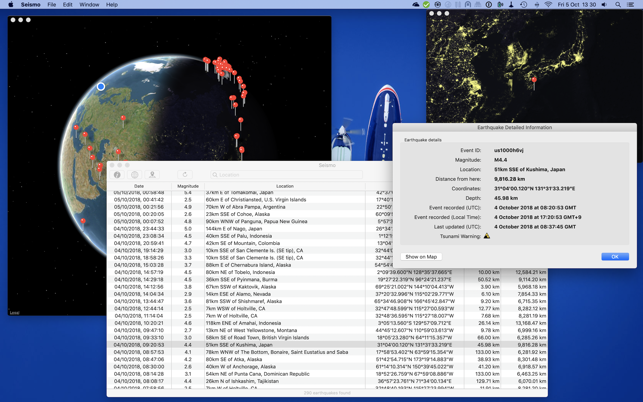 Seismo is a little free application that allows you to get a list of earthquakes from around the world. Seismo uses the data feed provided by United States Geological Survey (USGS) to display the details about all earthquakes from the list. 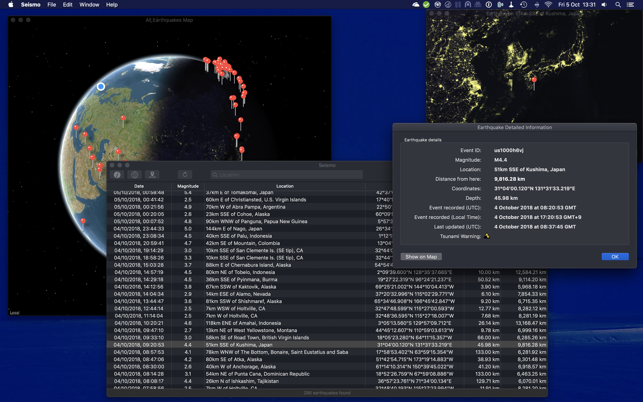 This version of Seismo fixes an issue with maps. Originally the app was using Google Maps, however with recent changes to the Google Maps usage, the map functionality stopped working and caused Seismo to hang. This issue is now fixed. 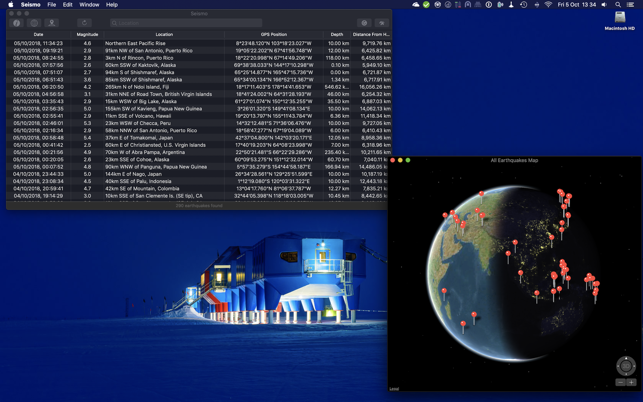 In addition, the app now fully supports macOS Mojave Dark Mode theme.